In the spirit of March Madness and taking the Easter holiday off from writing a new post, enjoy this article originally written in November 2011. 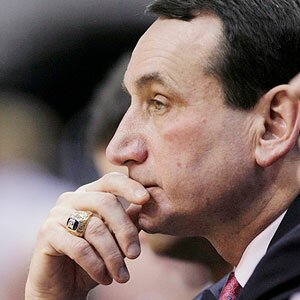 It’s about Duke basketball coach Mike Krzyzewski and the role trust plays in his success as a leader. Coach K has since amassed nearly 1,000 wins in his career and tomorrow night will play for a chance to win his fifth national title. This is similar to Dr. Stephen R. Covey’s son’s worldwide best-seller, “The Speed of Trust,” by Stephen M. R. Covey. could not be stopped. I will find their names and send them to you & the utube final game. for me. Thanks Tom Clute. You must come from a long line of winners. mfc. I will share this site with all my readers….